A combination of performance, features and competitive pricing results in the best controller and inverter value on the market. Download our 2016-2017 PRODUCT CATALOG. Key Features and Benefits The USB MeterBus Adapter (model: UMC-1) converts the Morningstar MeterBus RJ-11 electrical interface to a standard USB 2.0 interface which allows communication between a PC and a Morningstar charge controller or inverter . Key Features and Benefits The Wire Box for ProStar MPPT (model: PS-MPPT-WB) provides an effective cover for wires and conduit leading to and from the ProStar MPPT controller. This Wire Box may be required or recommended by authorities having jurisdiction to reduce hazards associated with exposed wires, conduits and connections. Key Features and Benefits The Ethernet MeterBus Converter (model: EMC-1) enables IP based network and internet connectivity to any Morningstar product that features an existing MeterBus port (RJ-11) including: TriStar MPPT ProStar MPPT SunSaver MPPT TriStar PWM ProStar Gen3 SunSaver Duo SureSine Inverter The EMC-1 is powered by connecting it to the Morningstar product’s MeterBus port or the DC input for 12, 24, or 48V systems. The MeterBus port connection also enables transmission of serial data to the EMC-1. The EMC-1 converts this connection to a fully enabled Ethernet port to allow data transfer to the internet. This facilitates remote monitoring, configuration and control using any type of IP based network connection. Thus, many new powerful integration options for Morningstar products can be established in remote power systems: IP based MODBUS connectivity for remote communication and control. Monitoring, logging and remote custom programming using Morningstar MSView PC software. Morningstar’s Live View displays system status and log data directly from the EMC-1 to a webpage. A cloud hosted data service is scheduled to launch before the end of 2019. Model Numbers TS-Meter-2-600V Key Features and Benefits The TriStar Meter-2-600V specifically designed for the TriStar MPPT-600V displays extensive system and controller information, logged data, bar graph metering as well as alarms and faults for easy troubleshooting. The information may be shown in English, French, German, Portuguese or Spanish languages. Model Numbers TS-M-2 Key Features and Benefits The meter will display a great deal of information about the TriStar controller and the operation of your system. In addition, the meter enables manual functions and controller diagnostics. These capabilities will increase your confidence that the system is working properly and will help you to improve system reliability, battery life, and system performance. It is worth the time getting to know your meter! Model Numbers TS-RM-2 Key Features and Benefits The meter is compatible with the TriStar, TriStar MPPT, TriStar MPPT 600V, and MeterHub. It displays the same data as the TS-M-2, however, it does not mount to the controller. It ships with 30 meters of cable and a flat face plate for convenient mounting away from the controller. The meter enables manual functions and controller diagnostics. These capabilities will increase your confidence that the system is working properly and will help you to improve system reliability, battery life, and system performance. Key Features and Benefits Morningstar’s PC Meterbus Adapter (MSC) converts a controller’s meter port (RJ-11 phone type connector) to a standard RS-232 serial connector for connection to a PC or other equipment. 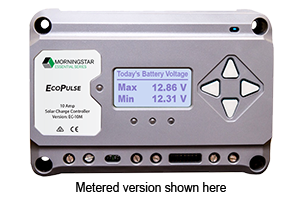 The MSC may be used with any Morningstar controller or inverter equipped with a meter connection that does not also already have a RS-232 port. 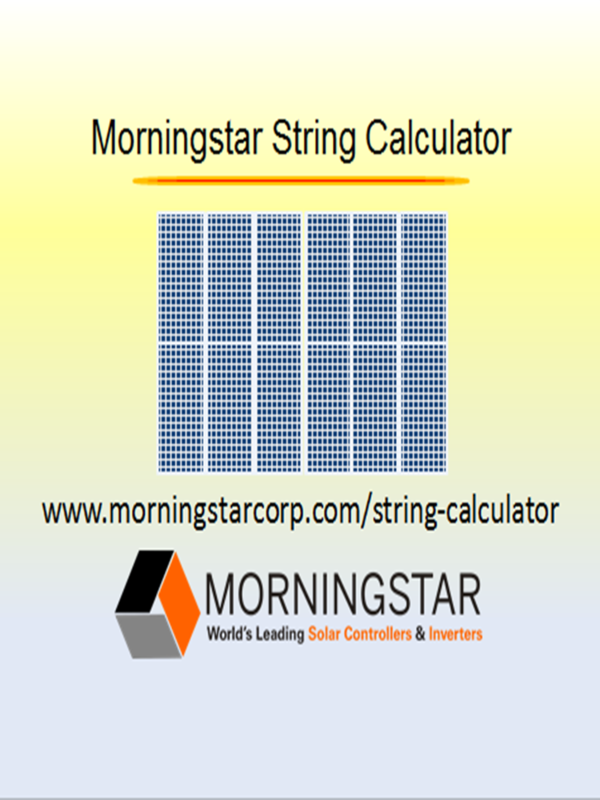 Compare 2 or 3 Morningstar controllers to find the best controller for your needs. "How many modules may I use with this controller?"